-Volunteer Services – SOEC depends on our parent and community volunteers. From our renowned Stop, Drop, & Roll program to our dedicated classroom volunteers and room parents, all of the special events/services SOPA provides rely on your involvement. There are so many opportunities to assist SOPA. Whether you help out with Paws and Go, become a room parent, chair a program, attend a beautification day, or volunteer at an event; there is something for everyone no matter the restrictions on your time. To find out about ways to volunteer for SOPA, please attend a SOPA meeting, visit our volunteer page﻿, or email a SOPA board member﻿. Help SOPA make our school amazing! 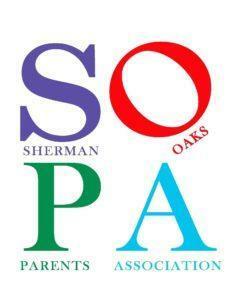 Throughout the year, SOPA sponsors many events including the Ice Cream Social, the Halloween Carnival, PJs and Books, the Spring Gala (adults only), Movie Night and more. These events are not only fundraisers that financially support the programs that enrich our school but also bring us together as a community. When a SOPA event comes around, please participate and encourage friends and family to come too. It’s amazing what we can accomplish when we all come together.